It’s starting to look more and more like it that the iPhone will get a major design overhaul this year. Apple’s lost the ball with the lineup in design lately, and the numbers speak. Sales aren’t what they used to be and Android is catching up fast. Samsung’s latest Galaxy S8 and Galaxy S8+ bring the ball to Apple’s front yard when it comes to design. And now, Apple’s ready to make a comeback. How? We’ve got some more blueprints which provide more details. Take a look below for more. The iPhone 8 is rumored with a lot of features. They’ll make the device much bigger than the iPhone 7 & iPhone 7 Plus, in terms of functionality of course. The most major change to take place this year will be OLED displays. Apple’s supply chain has been unable to produce the advanced screens before, but in 2017, expect Samsung to finally perform at the levels required by Cupertino. Not only will be the iPhone 8 feature an OLED display, but it’ll also resemble the one found on the recently launched Galaxy S8 and Galaxy S8+. Apple’s flagship smartphone will feature an edge to edge display, that’ll render bezels invisible on the smartphone. It’s also rumored to integrate the fingerprint sensor right underneath the display, as you can see in today’s schematics as well. 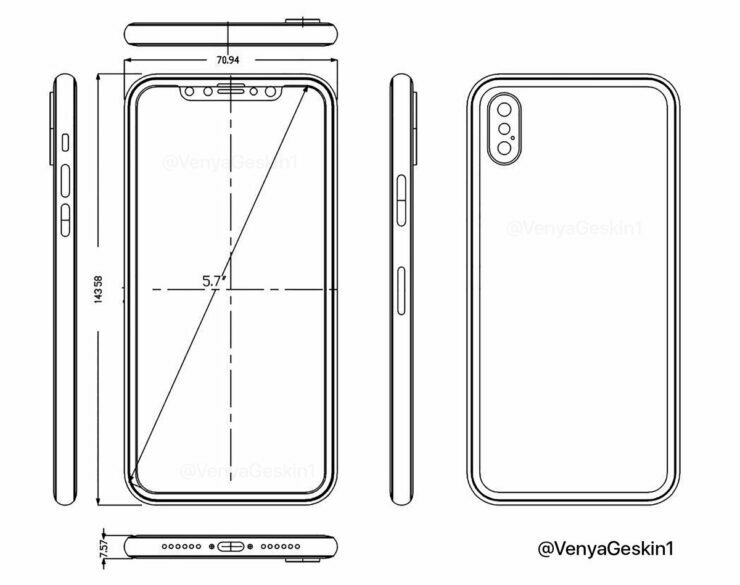 Today’s iPhone 8 blueprints provide a lot of details for the device, allegedly of course. They show no fingerprint sensor at the front and the much talked about vertical rear dual camera sensor. Apple’s expected to tinker around with the camera setup this time as the iPhone 8 will focus exclusively on 3D and VR. What’s more interesting are the front sensors for the device. In addition to the standard front camera sensors, facial recognition is also a rumored feature for this year’s flagship from Cupertino. Finally, we also get some dimensions for the iPhone. Allegedly, the device will measure 143.6×70.95×7.6mm. 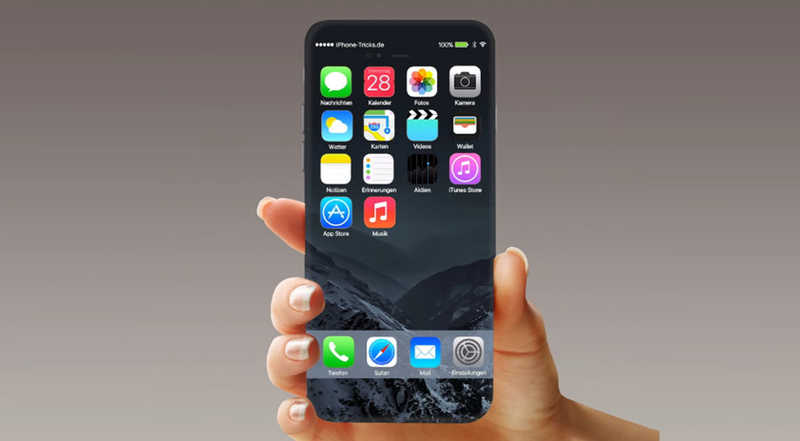 The thickness will be slightly larger than the iPhone 7, but that’s natural given the massive hardware upgrades expected this year. It’ll b a huge disappointment if the iPhone 8 doesn’t feature these rumored upgrades, especially the virtual fingerprint sensor. But maybe advanced 3D and VR will make up for it. Thoughts? Let us know what you think in the comments section below and stay tuned. We’ll keep you updated on the latest.